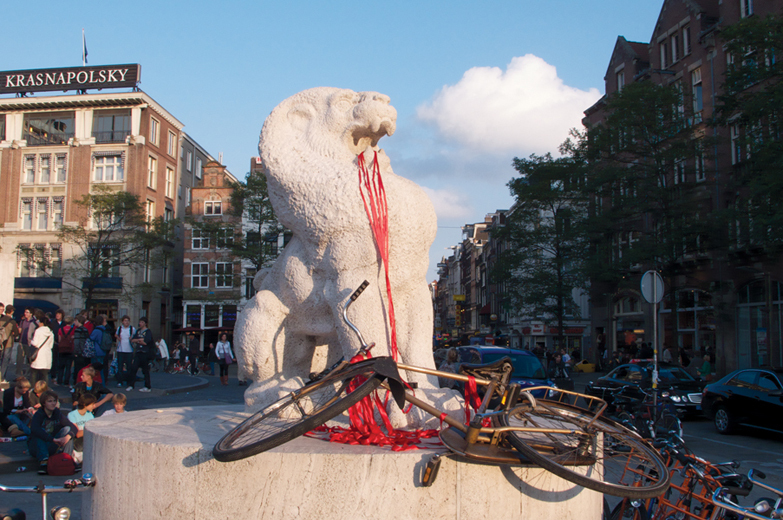 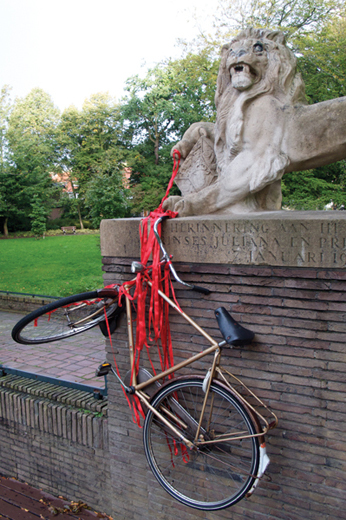 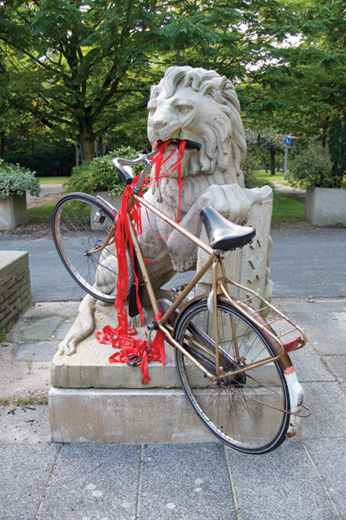 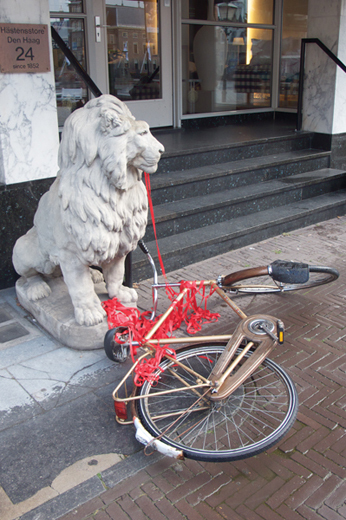 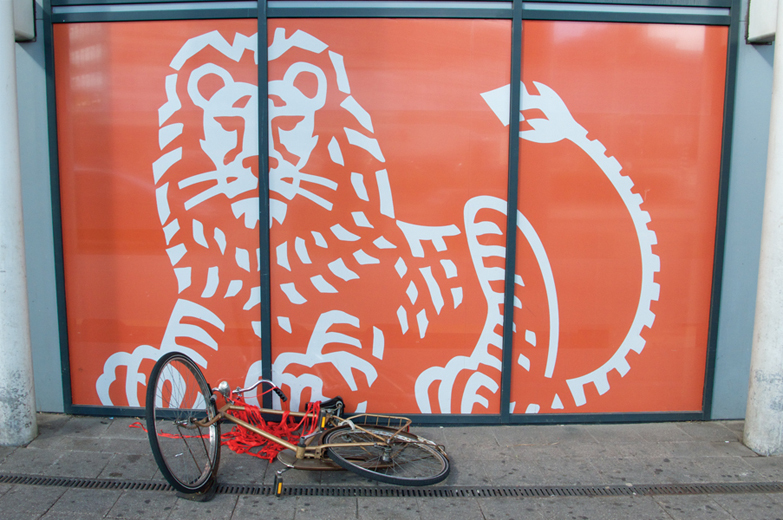 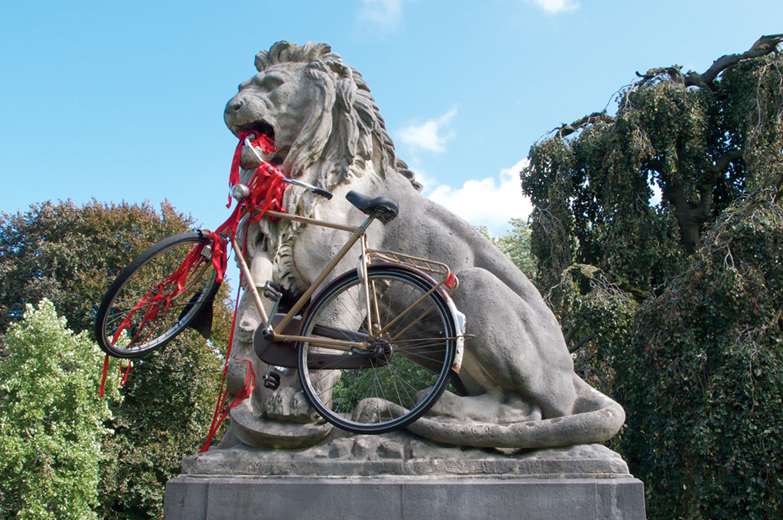 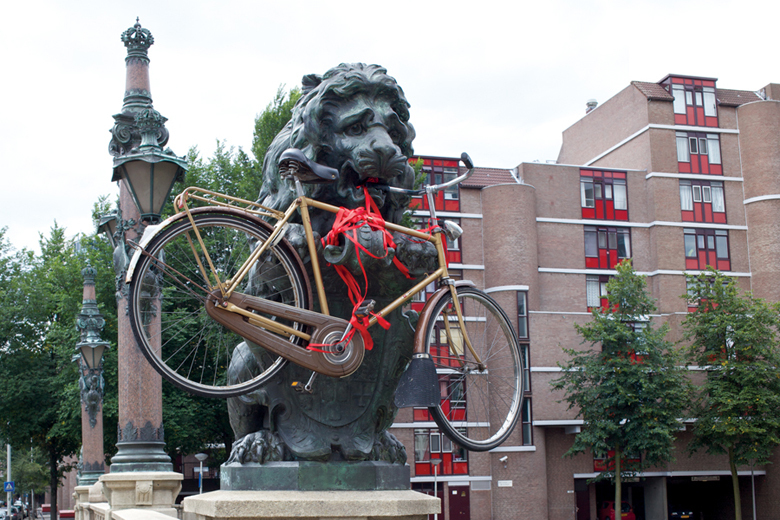 Dutch lions, Gazelle brand bicycle, ribbon. 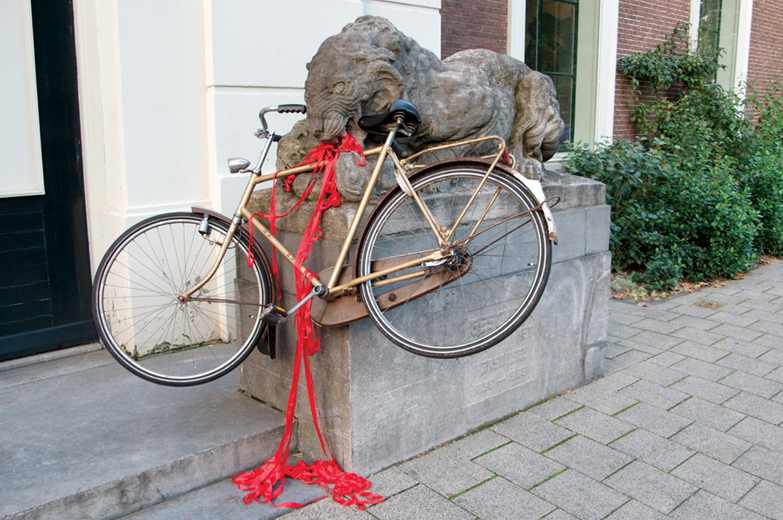 Series of twelve temporary installations. 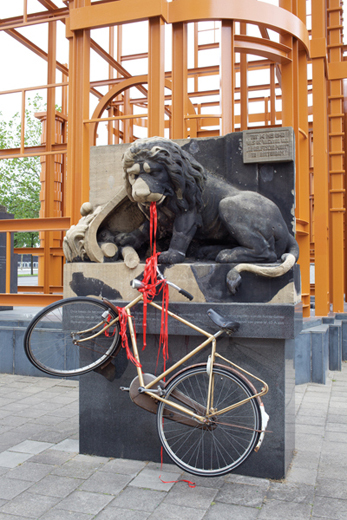 The Netherlands, 2010. 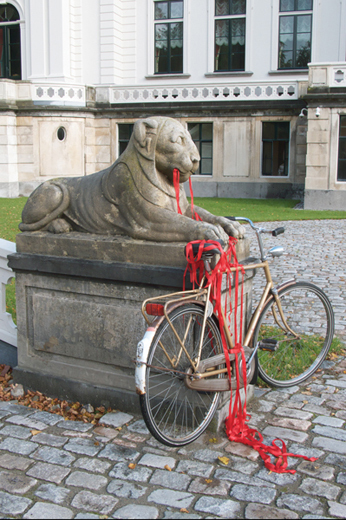 Gezelligheid - Dutch abstract noun which, depending on context, can be translated as cosy, fun, quaint, or nice atmosphere, but can also connote belonging, “sociability”, conviviality or general togetherness. 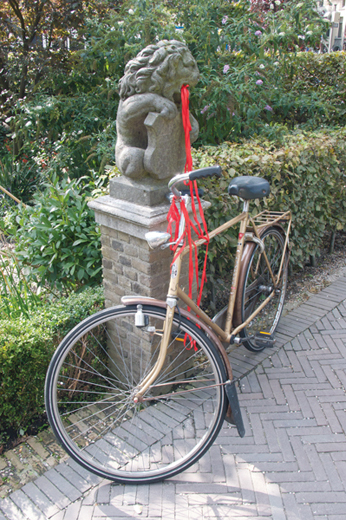 Some consider the word to encompass the heart of Dutch culture (Wikipedia, 2010). 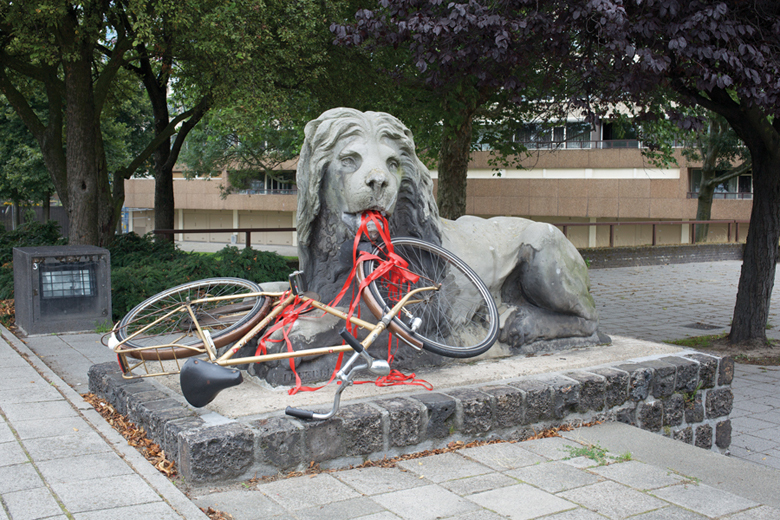 Photography: Jan Adriaans and Regan Gentry.